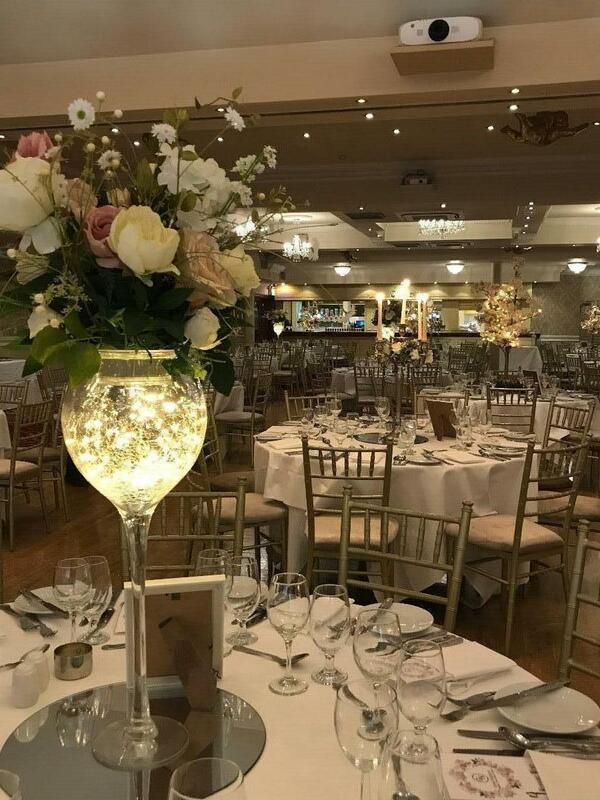 At the Abbey Court Hotel we know that your wedding day is a momentous occasion in your life and choosing the perfect wedding venue is one of the most important decisions you will have to make. 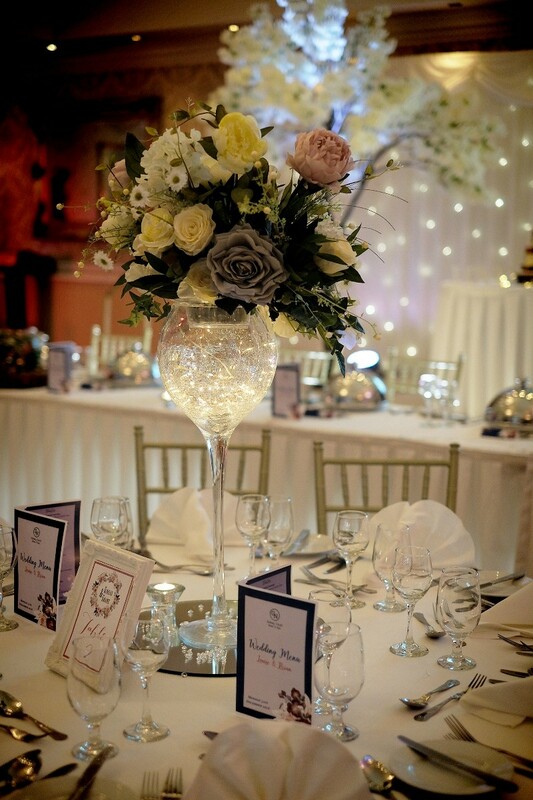 At the Abbey Court Hotel, we pride ourselves on our ability to create weddings that are truly magical and a reflection of your own personal taste. 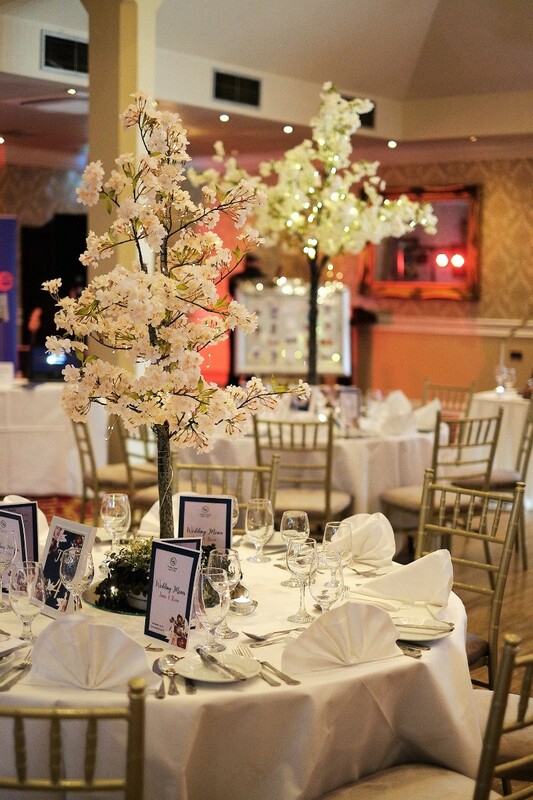 Because of our outstanding reputation as a wedding venue we have both the expertise and the experience to help you all the way through. 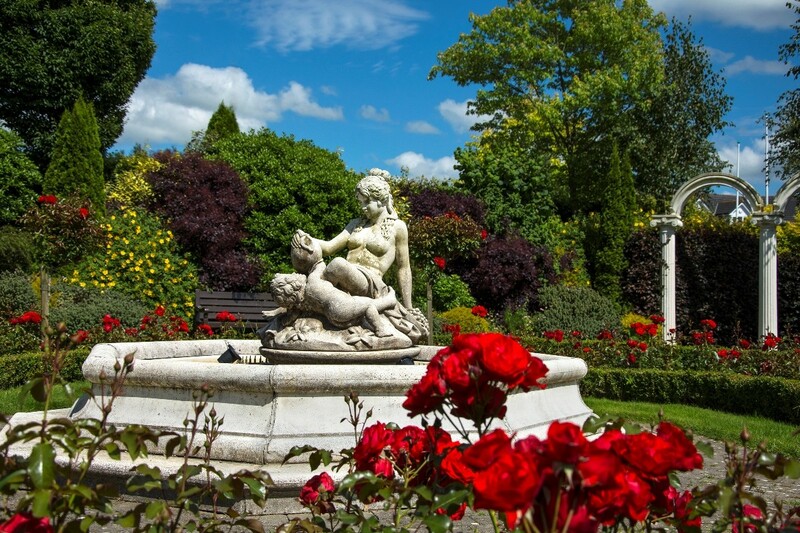 Great National Abbey Court Hotel and Spa is a beautiful hotel in Nenagh, Co.Tipperary servicing weddings throughout the local area including Munster and beyond. 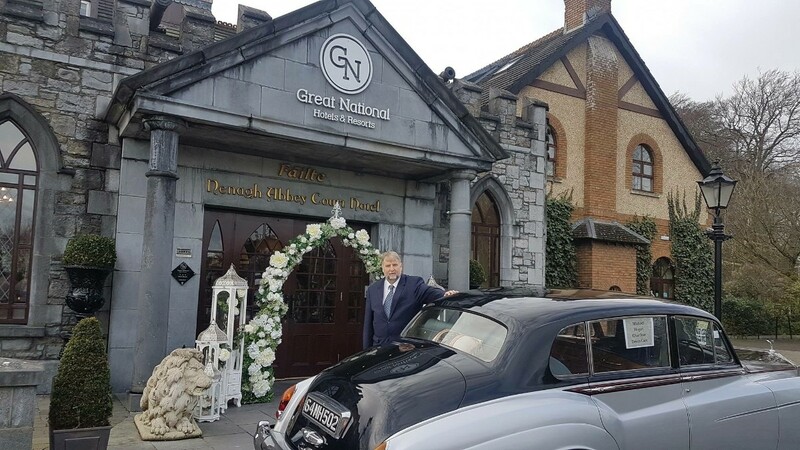 Great National Abbey Court Hotel and Spa is a reputable and family friendly hotel in the hidden heartlands that has been part of the Hotel & Wedding industry since 2008 specialising in all Weddings to suit your needs and personal style!. We had a wonderful wedding in the Abbey court. On our first meeting we knew this was the hotel for us. Jen always made us feel so welcome no ask was too big. At the time of booking we were living in Australia i was nervous about planning a wedding from so far away but she always kept us in the loop and made us very at ease. All our guests commented on how amazing the day was and they all complemented the food. There was a few comments saying they had never been to wedding with so much food. The attention to detail was outstanding from start to finish. Any problems,questions or worries we had were always dealt with quickly and professionally. Ray is such a gent and was so easy to relax around him we felt like we had always known him and he was one of the guests by the end of the day. 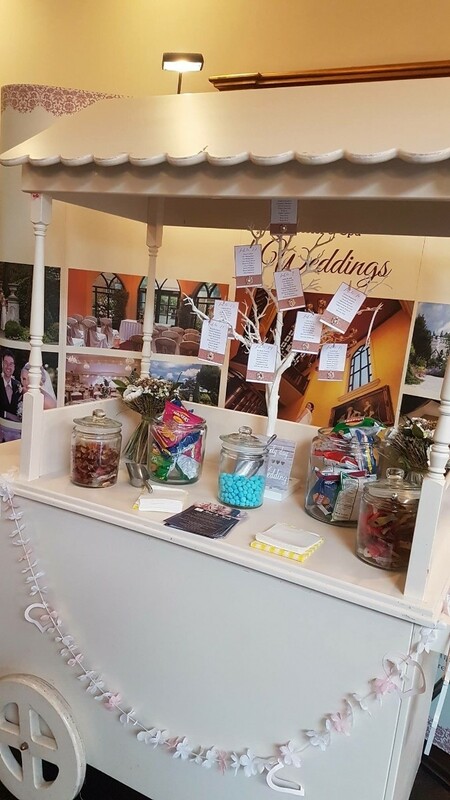 I'd have no hesitation in recommending The Abbey Court Hotel they made our day hassle and stress free and we truly had the best day. Thank you so much for your lovely words Una! The staff in the Abbey Court were fantastic to deal with. No matter what request we had it wasn't an issue for them. They offered excellent practical advice to us regarding planning the wedding. 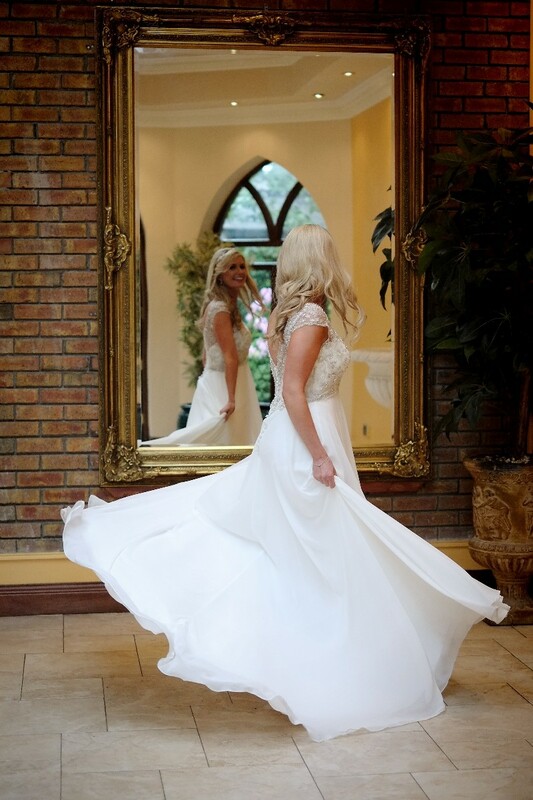 We had a wonderful day and I would do it all over again in the Abbey Court Hotel. Thanks Lilian & Alan, we'd love to do it all again too!! There are a lot of fantastic remarks to make about the Abbey Court, and we will address all of them below. 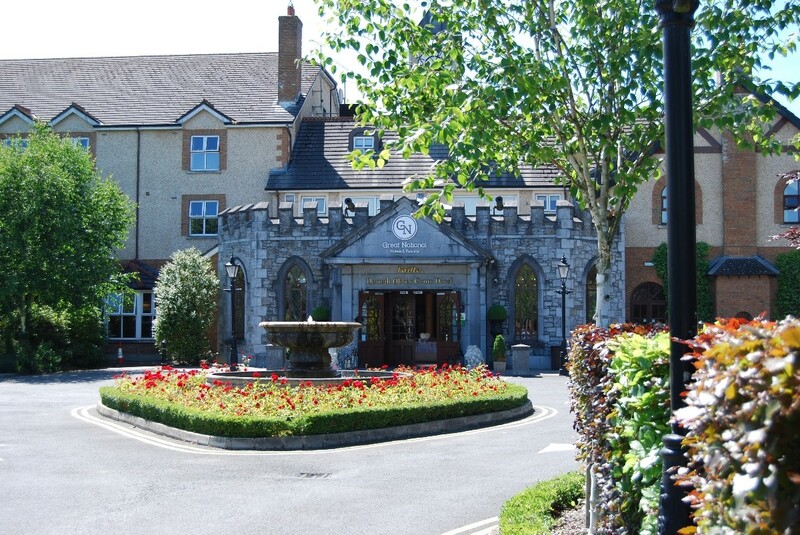 In short: The Abbey Court in Nenagh made our dreams come true. We are both very particular, very perfectionist. We never thought it was possible, but the Abbey Court made it happen. We would have our wedding there again any day. 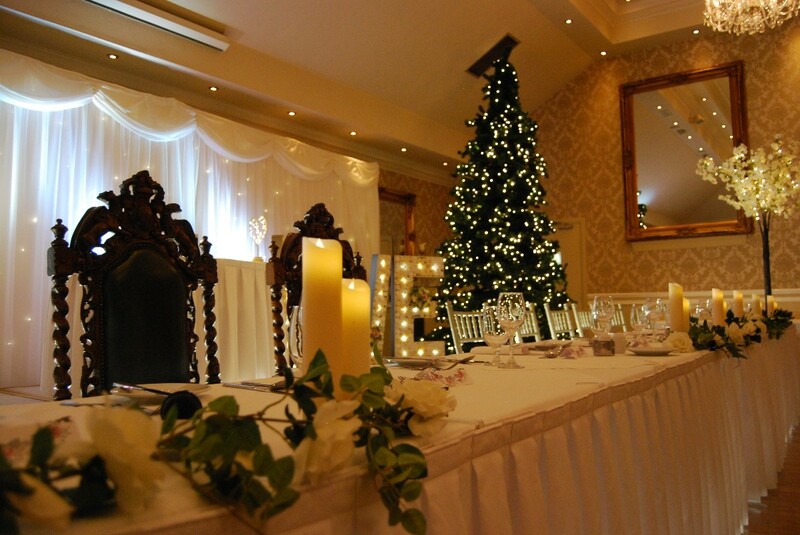 Service was exceptional, food was unbelievable, decoration was divine, accommodation was perfect. ------------------------------------------------------------------------------------------- Everything about our wedding was unusual. With me (the bride) having Afghan origins and living in Germany, and John being Irish, we had to combine three different cultures. In addition, our guests came from all over the world and each brought their own customs into the mix as well. We had a lot of requests that were uncommon, to put it lightly. Furthermore, John and I don’t live in Ireland, so we had to organise everything from afar. 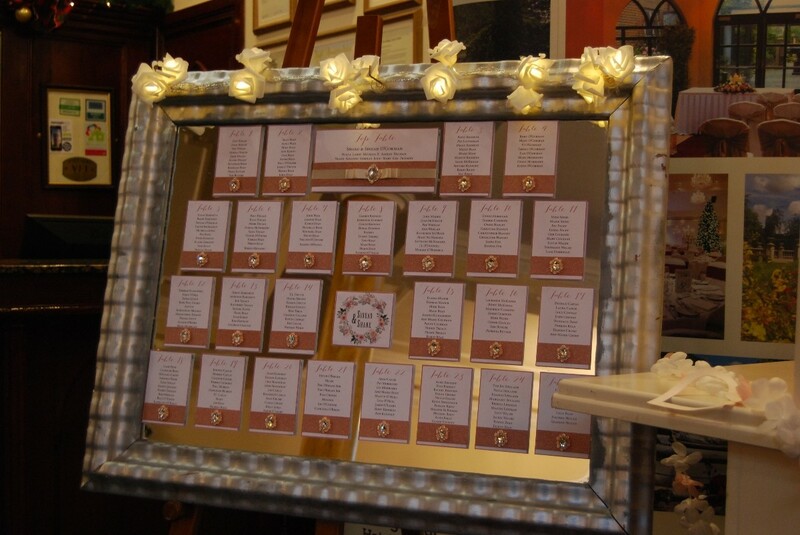 We relied heavily on Ray Lynch, our “wedding manager”, and his team (Rachel Farrell, Jenny, Michael, David, to name only a few), spending hours on the phone going through details, and exchanging countless emails. And nothing was a problem. Everything was possible. Because Ray and his team made it possible. 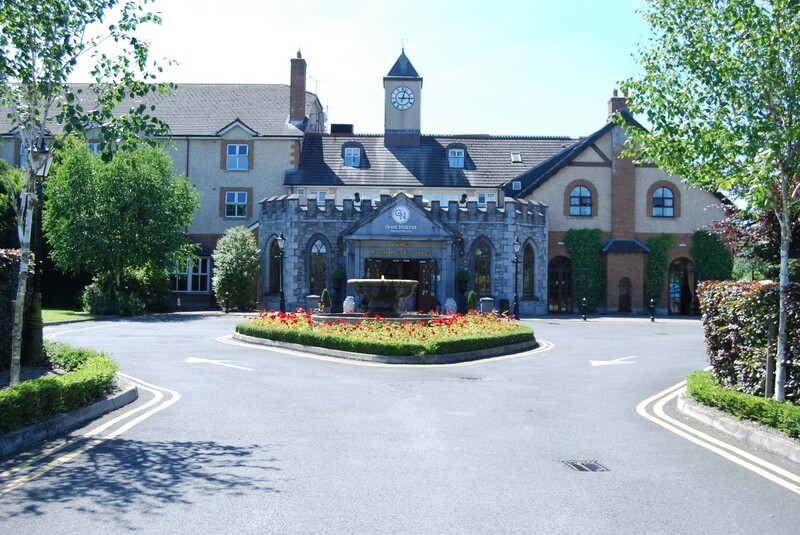 ------------------------------------------------------------------------------------------- The Abbey Court made us, and our guests feel very special, almost like royalty or celebrities. And that was not just our impression. Every time any of our guests talks about our wedding to us, they make a point of emphasising how amazing the people in the Abbey Court were. In fact, we all liked it so much, that we’re planning to visit the Abbey Court again at our anniversary, together with a bunch of our friends, who immediately said “we’re coming with you!”. 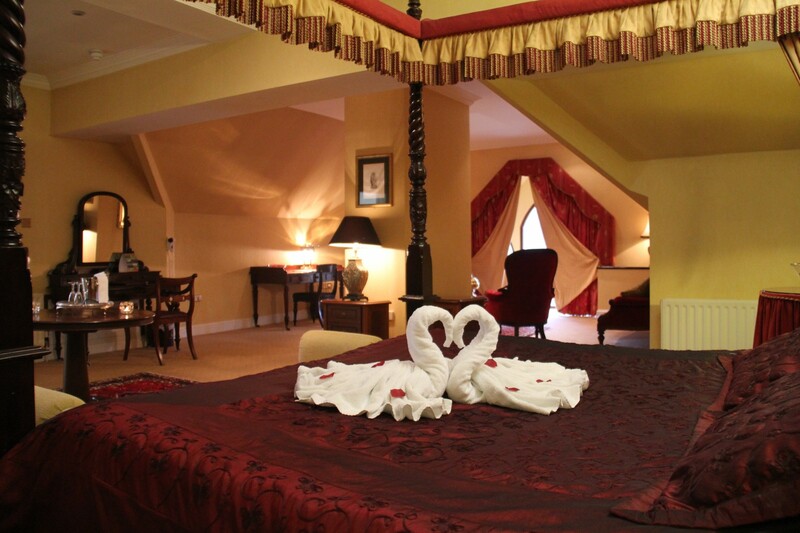 We can highly recommend the Abbey Court to any couple. ------------------------------------------------------------------------------------------- Food: Food and wine were exceptional, quality was great, and quantities were abundant. John and I have quite particular taste. We like good quality food that is a bit different, with a variety of spices and flavours, something that makes your taste buds dance. To make it more challenging, I have several food allergies and don’t eat pork for religious reasons. For us, the Abbey Court changed their menu. Ray and David (the head chef) sent us ideas by email, we gave them feedback, they made some adjustments, and the menu was set. They even got in halal meat for the Muslim guests, certificate and all. 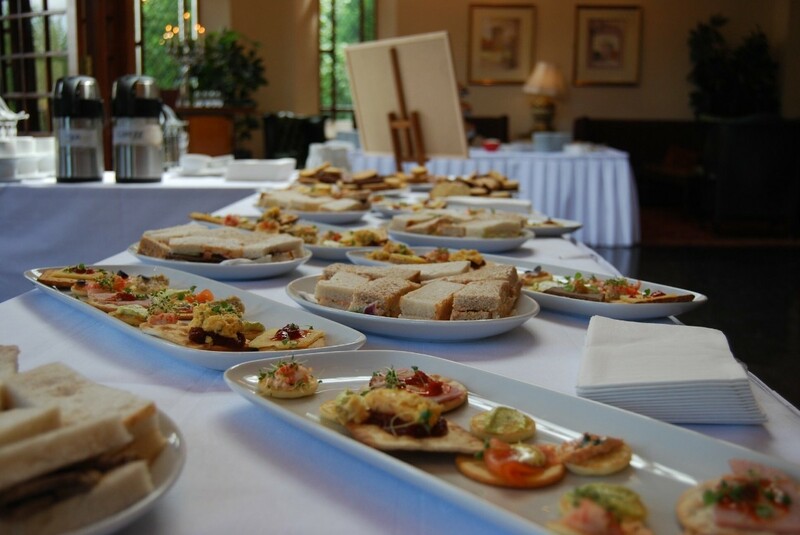 When we tried the food at the food tasting, we couldn’t believe how gorgeous it was! We didn’t change a thing. And yes, it was just as gorgeous at the wedding, for all the guests, not just the top table. Some of our friends are foodies, and more than one said, the food at our wedding was the best they’ve had at any other wedding. One particularly food crazy friend, and the best man no less, said it was “the best food he has ever eaten, not just at a wedding, ever anywhere”. No joke, that’s what he said, and he meant it just as he said it. The wine was gorgeous, too. We didn’t go for the house wine, because it didn’t appeal to our personal preferences. Instead, we picked a white and a red wine off the menu, mid-range priced, and it was excellent, not just “for the price”, it was a really good wine. ------------------------------------------------------------------------------------------- Decoration: Sometimes I think Ray can actually read minds. I tried (not very well, mind you) to describe what I had in my mind’s eye, saying things like “a bit like that, but not quite”, and very descriptive explanations like “it should look really classy and elegant”. I remind you, I am incredibly picky and particular. Ray sent me a few pictures with examples, got in touch with the florist for me to know exactly what flowers I was using for my bouquet, and had the florist send through a few pictures with different suggestions. Ray really managed to understand what my vision for the room was, before it was fully formulated in my own head. The end result on the day was stunning. The decoration was perfect. The feeling in the room was exactly what I had envisioned. I don’t know how Ray and Jenny, who is in charge of decorations, did that. But they did it. It was like a fairy tale, with incredible attention to detail. 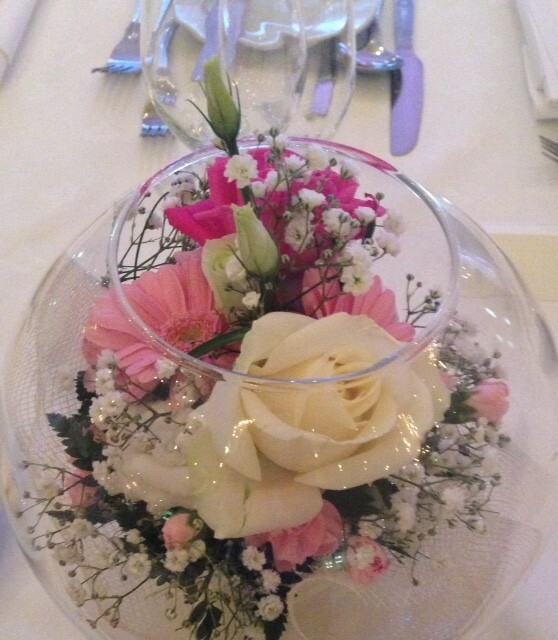 BTW, if you’re looking for a good florist, try Elizabeth Rose in Nenagh. It won’t get any better than that, trust me. 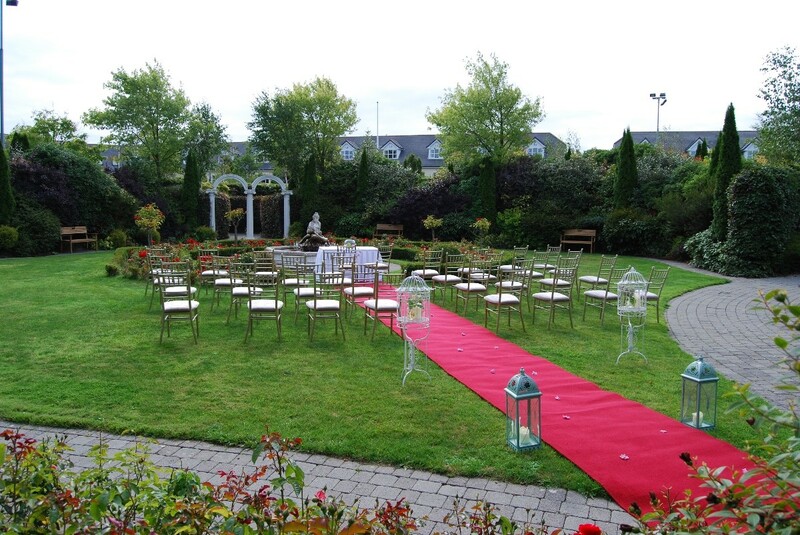 ------------------------------------------------------------------------------------------- Accommodation: Most of our guests travelled from different countries to our wedding in Nenagh, and therefore stayed for at least four nights. Some of our guests stayed in the adjoining lodges, which is great fun if you have groups. It was quite the challenge for John and me to organise the allocation of the lodges, and at times we lost track of the latest version of the room plan. But Rachel Farrell made sure everything was recorded properly and pointed out inconsistencies on more than one occasion. If it hadn’t been for Rachel, the room allocation that we tried to organise might have ended up a mess. Thank you, Rachel! John and I had the Cantwell Suite, a stunning room that is perfect for the bride to get ready in on the morning of the wedding. It is very spacious, and you can take beautiful pictures in there. Our only regret: We never got around to using the jacuzzi! ------------------------------------------------------------------------------------------- Service: Imagine a five-star hotel, like in the movies, where the impossible is made possible. That’s what you get in the Abbey Court, but without the pretension. We basically hijacked the Abbey Court for the entire time we were there. As mentioned above, ourselves and our guests were looked after very well. Anything they needed, the hotel provided it to our guests. In one lodge there was an issue with the water pressure, it was fixed in no time. Because we had a lot of people coming at different times, it was not easy to keep track of who had and had not picked up their key for the lodges. But Allison and her team at reception were on top of it and never lost their nerve, even when we were running around like headless chicken. 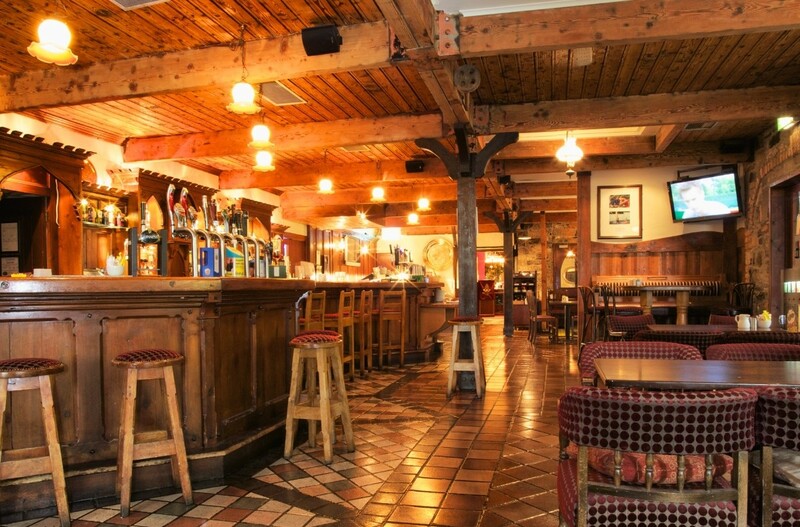 Reception was staffed 24 hours a day, and even when the bar closed, Patrick from reception looked after us. Patrick, thank you for all the drinks you served us until the (not so) small hours of the morning. We sincerely hope we didn’t get you into trouble! ------------------------------------------------------------------------------------------- Staff: There are many, many people who worked for us to make our dream wedding happen. We tried to remember all the names, but we’ll probably forget a few, and not know of even more people who worked behind the scenes. There was David, who cooked a meal for us that will be remembered by many people for a very long time. There was Jenny, who brought magic into the function room for us. There was Allison, who made sure all our guests had roofs over their heads. There was the best G&T mixer in the bar, whose name escapes me, but who makes the best Gunpowder Gin with a particular tonic (don’t worry, not spoiling your recipe!). There was Patrick, the night receptionist, who didn’t send us to bed, even though it was well past curfew. There was Michael, who looked after us especially on the day after and the day after that, making sure I (the bride) don’t forget to eat, bringing me a plate full of food. And, of course, there were Rachel Farrell and Ray Lynch, who helped us with the planning every step of the way, who were available whenever we needed them, responding to countless emails. And this is where we need to make a very big shout out for Ray, who was our main “wedding manager”, and who is absolutely exceptional. My brother said about Ray, “I first thought he’s just being nice, because it’s his job, but Ray actually is that nice for real!”. All the good things you have read about Ray are true, without exaggeration. We cannot imagine how we would have done it without Ray’s help. His reassurance that everything would be fine and that we didn’t need to worry, allowed us to organise our wedding from afar and not wonder, how things would be implemented on the scene. Through all the hours we spent planning our wedding, we really grew close. John and I can truly say, with Ray we have made a friend for life. 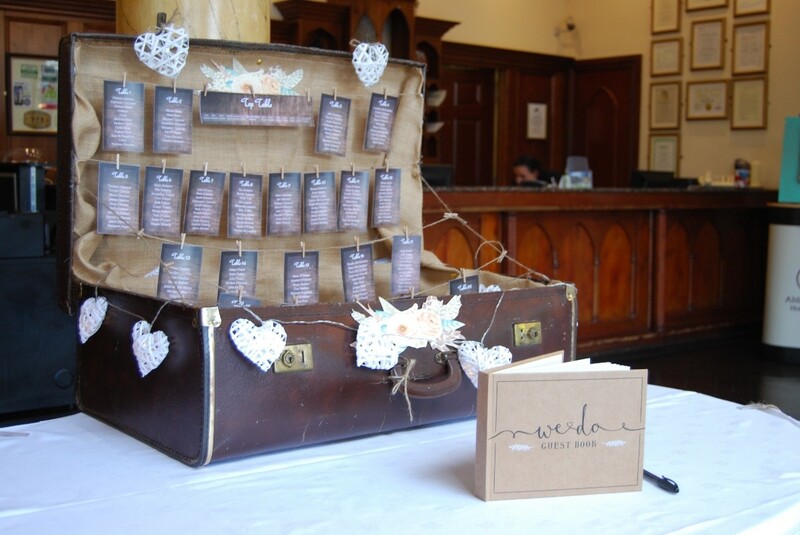 Sohra & John, Thank you for your very detailed review of your wedding with us. It was such a pleasure dealing with you both and so nice to do something a little different for your big day! Ray and Jennifer went above and beyond on the day and in the lead up to the wedding! Fantastic service all around. Fantastic venue in every way. 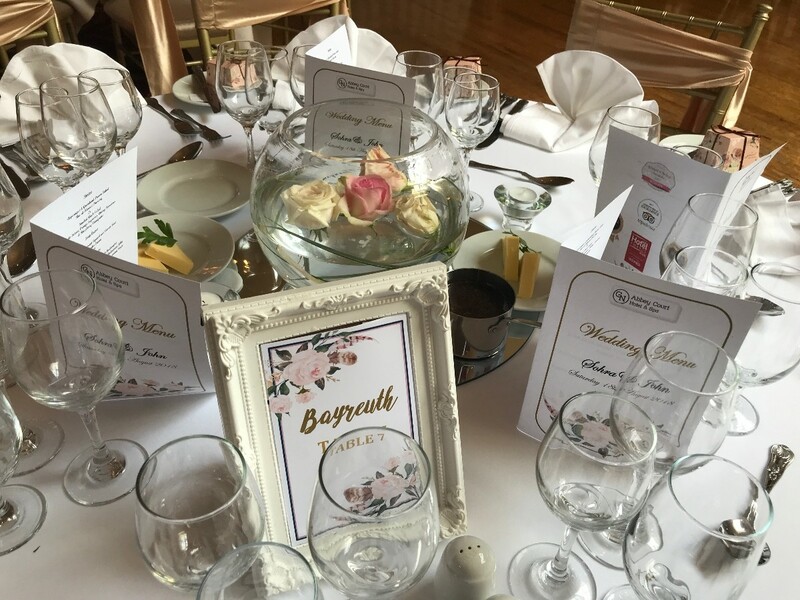 Jenny and Ray are true professionals and made sure we could sit back and enjoy our day.We had the most magical day thanks to the team at the Abbey Court Hotel.???? 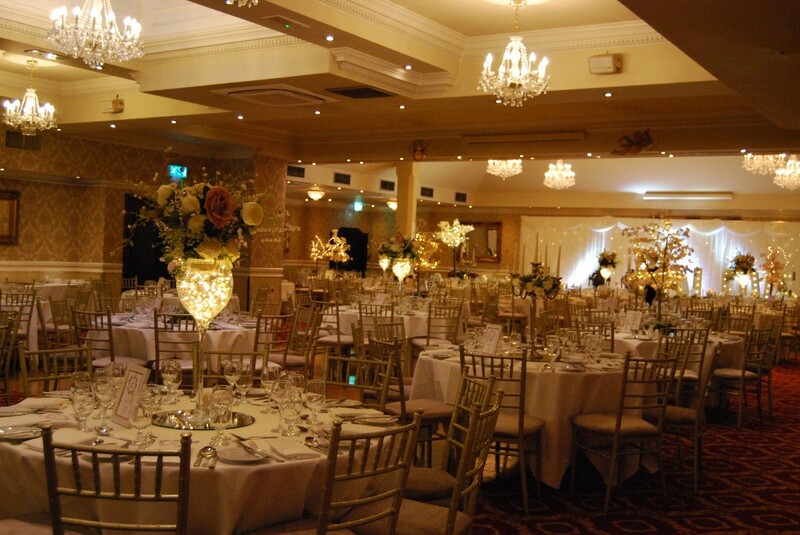 The Abbey Court Hotel were just amazing, especially Jennifer and Ray. From my very first interaction with them right through to the end of our special weekend. They were so professional, accommodating, kind and took a genuine interest in both me and my husband. I always felt like a valued customer, and my requests and needs were being listened to and provided for. They made our weekend very special, enjoyable and stress free and I cannot recommend them and thank them enough. 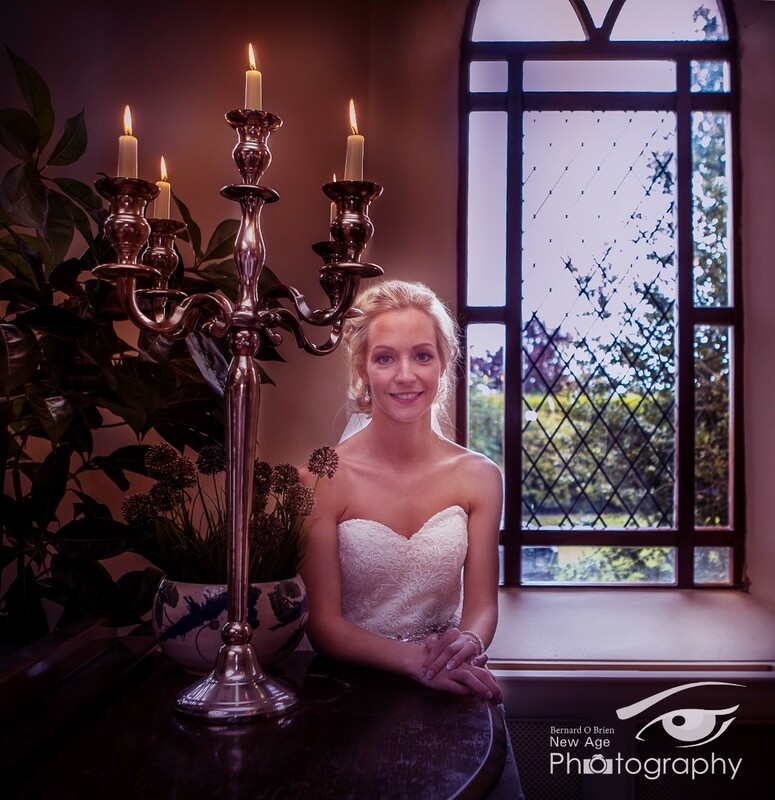 Thanks Aisling, so glad we were able to make your day so special. Our wedding could not have gone as well as it did if not for the brilliant work from Jenny and Ray, as well as the rest of the staff at the Abbey Court. They were helpful throughout the process, and full of knowledge, providing useful suggestions and explanations. Our requests and needs were always met; When we asked questions, we received recommendations and ideas, but we never felt pressure to go in any direction. In other words, they let us plan out our wedding the way we wanted, and they made it happen but they were sure to offer and advice or ideas when they were asked. Their suggestions were outstanding whether it was Ray recommending seabass or Jenny offering ideas with seating plans. Ray went out of his way to genuinely provide encouragement and offer friendly advice in the days leading up to the wedding. Both were always around and made time for us. We always felt we were treated with respect and dignity. 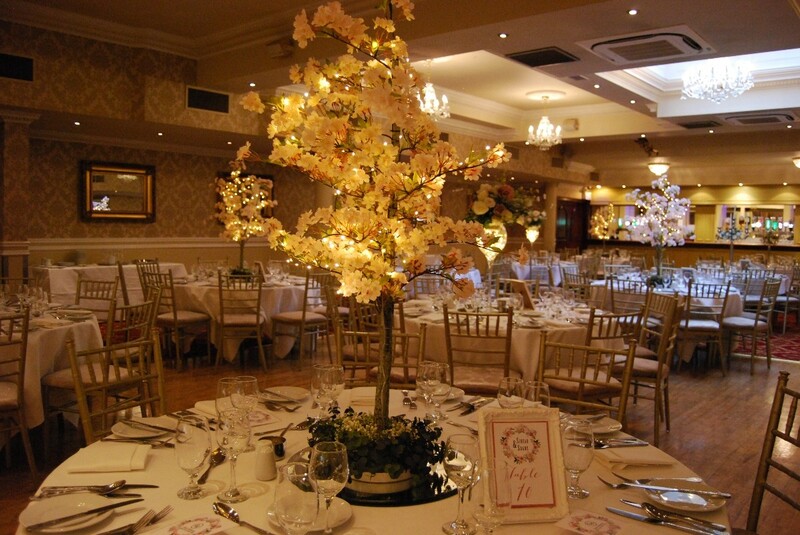 They also did a magnificent job on the wedding day to make sure everything went smoothly. Everything worked like a well-oiled machine and we never had to worry or have doubts with the service. Our guests were also very thrilled with the experience. We absolutely recommend Jenny and Ray. They were nothing short of phenomenal. Thank you for your lovely review Eimear & Paul! 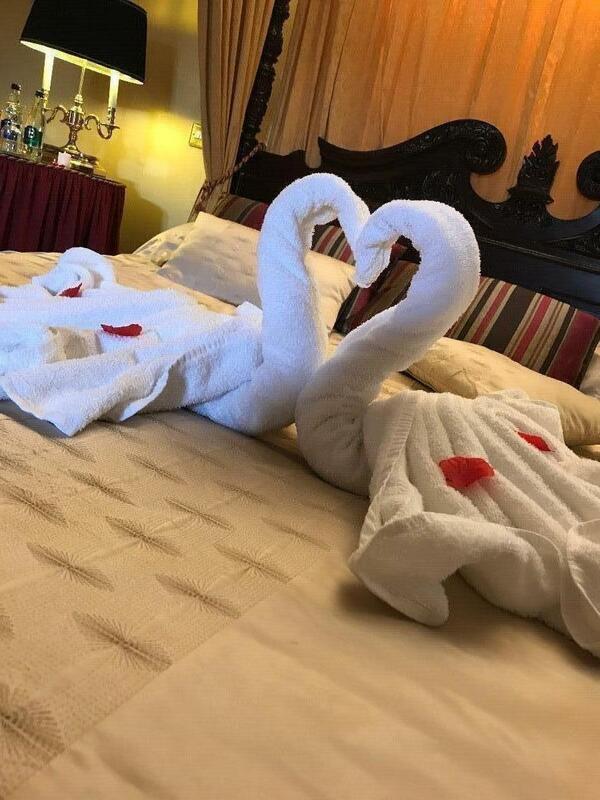 We love looking after our couples here at The Abbey Court! Thank you Claire & Brendan! We loved looking after you both on your big day! We got married here on the 9th June 2018. 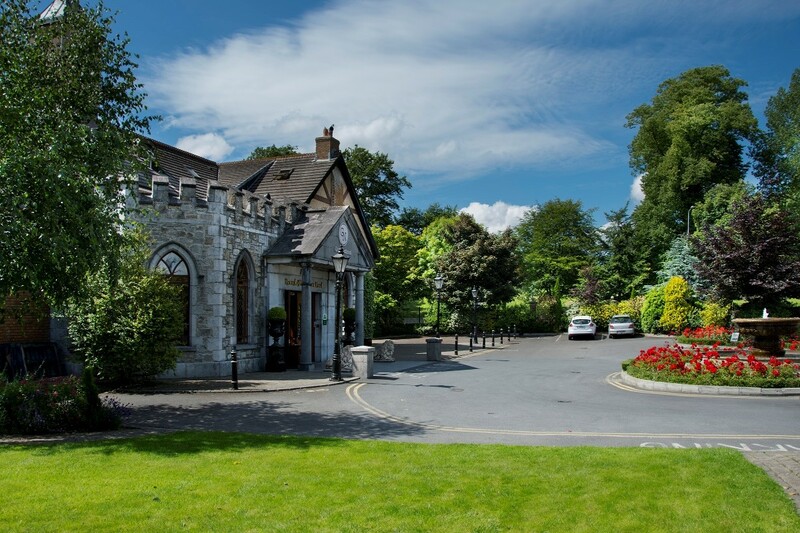 After viewing a few different venues we decided that the Abbey Court Hotel was where we wanted to have our wedding reception for a number of reasons. 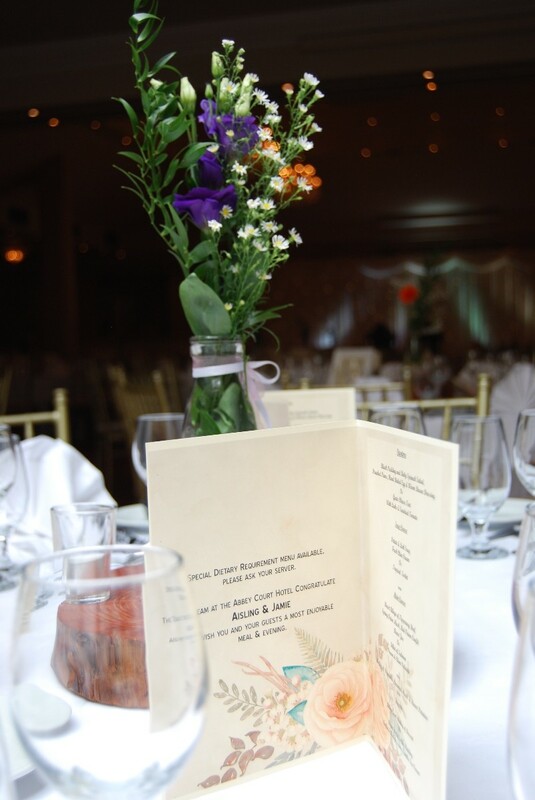 They have a broad range of wedding packages to suit all “pockets”. Our first meeting was with Jenny and she was so agreeable with our every request. She ensured us that she would be with us every step of the way and indeed she was. Nothing was any bother to her. The staff were all very helpful and professional. 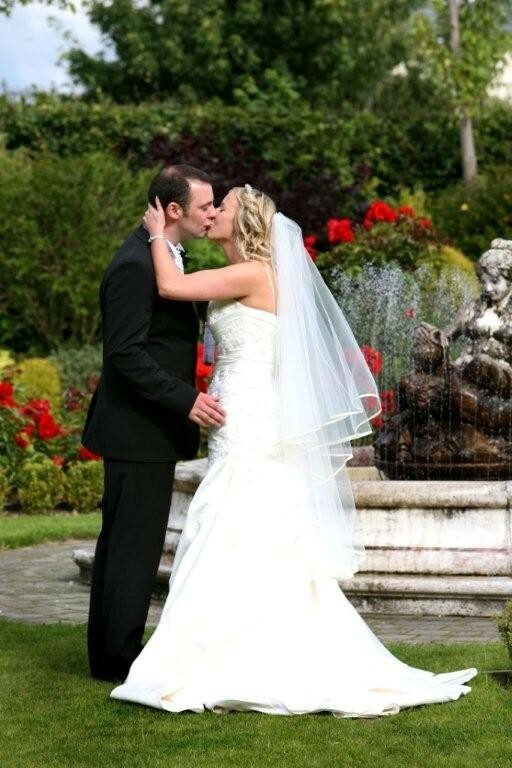 Our wedding day was the most memorable day of our lives and this was definitely helped by all of the staff in the Abbey Court Hotel. 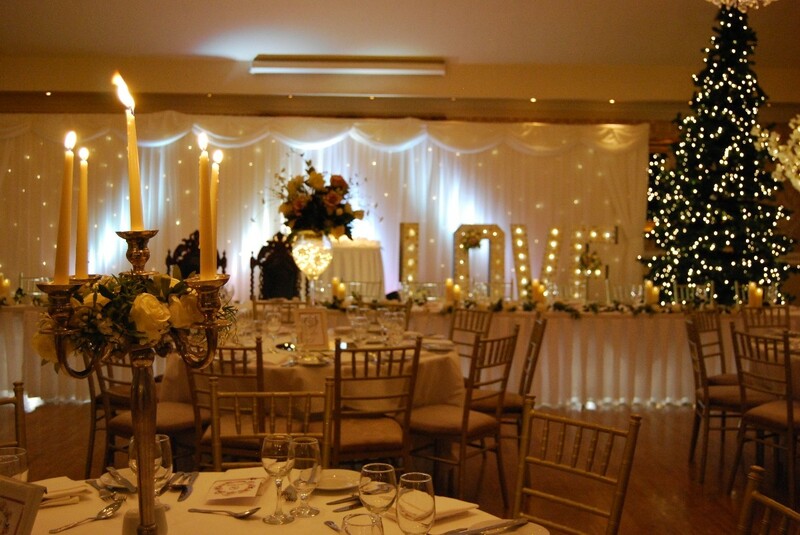 The hotel looked after booking the car from the church and also all the fairy lights, table plan, centre pieces etc in the reception hall and there was no extra costs or hidden charges. On the day we were greeted by Ray and Jenny at the main door and they looked after our every need and Ray explained everything so thoroughly to us which helped keep us chilled and relaxed. 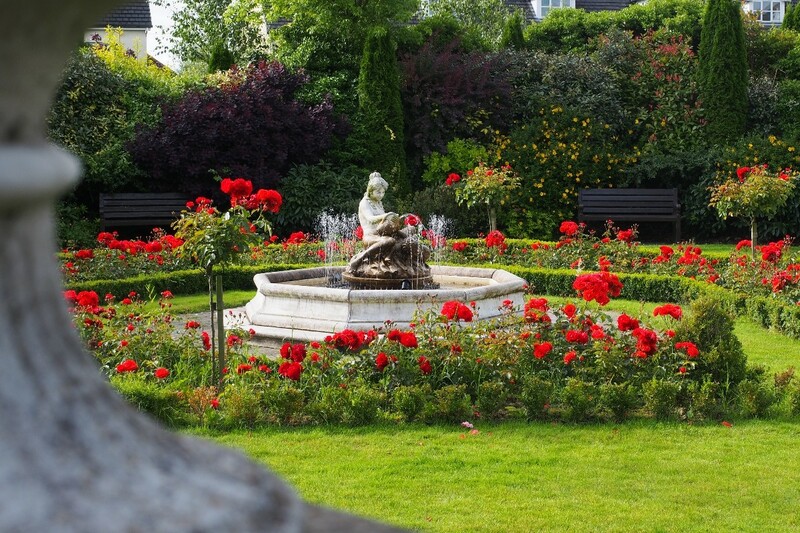 We got some fantastic pictures around the hotel as they have a well manicured garden with beautiful blooming rose beds in June and the weather this Summer was very sunny so we got a great day weather wise. The reception food was excellent and plentiful. Prosecco and bottles of beer were also on hand. The food for the sit down meal was beautifully cooked and presented. We went for the top menu which was still good value and we didn’t regret it. 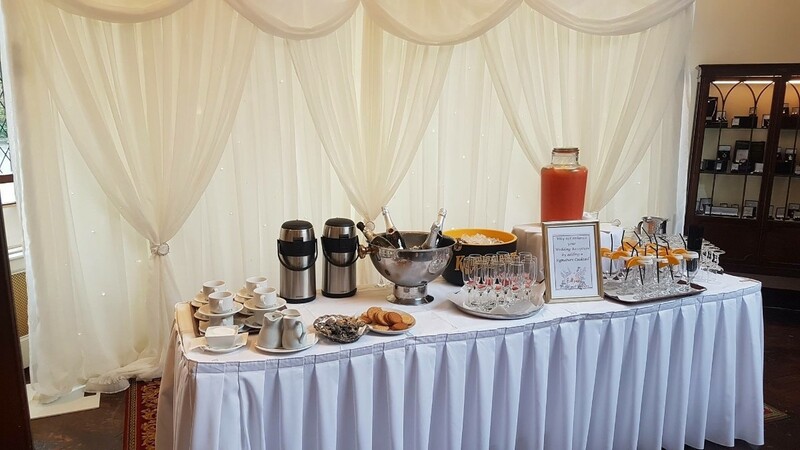 Our guests couldn't stop complimenting about how gorgeous the food was, even the following morning at the breakfast, people were still commenting how nice the food was and how well it was presented. The service from every single member of staff we dealt with was top class. We had the most incredible day of our lives and we want to say a massive thank you to Jenny, Ray and everyone at the Abbey Court Hotel. 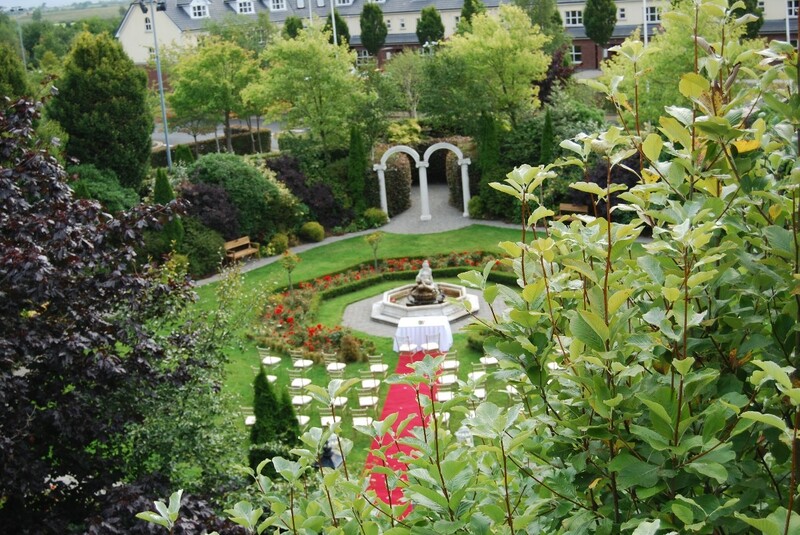 We d highly recommend the Abbey Court hotel as a top wedding venue. Thanks David & Michelle for your lovely review of your day with us and the lead up to your wedding! We loved being part of it all with you! My, now, husband and I organised our wedding from Canada. It was extremely difficult to do given the time differences and that fact we had no idea what we were doing anyway. 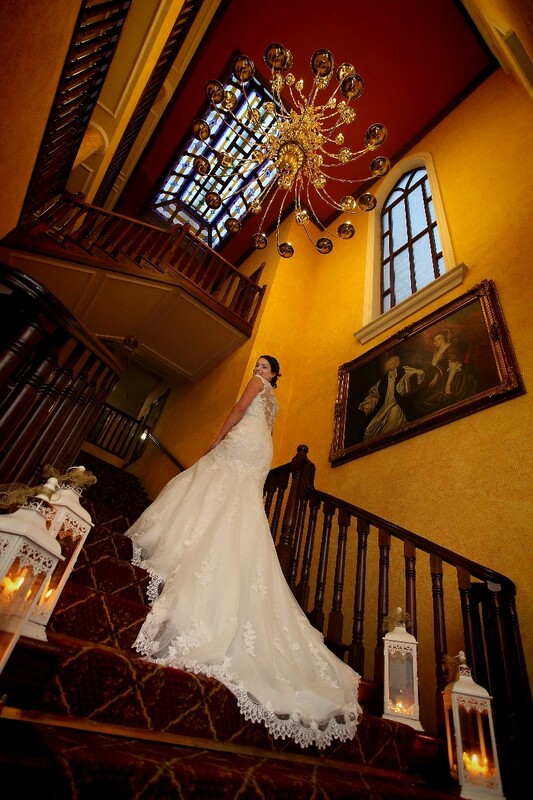 The best decision we made was choosing the Abbey Court Hotel as our wedding venue. From the moment we connected with Jenny, she was amazing. She guided us through the process with the ease of experience that she has and was always ready to answer questions/concerns that we had. We were able to get home only once before the wedding for 4 days and Jenny made herself fully available to us for whenever we could come to the hotel to do our tastings etc. She also recommend a local lady for flowers, who we ended up using. 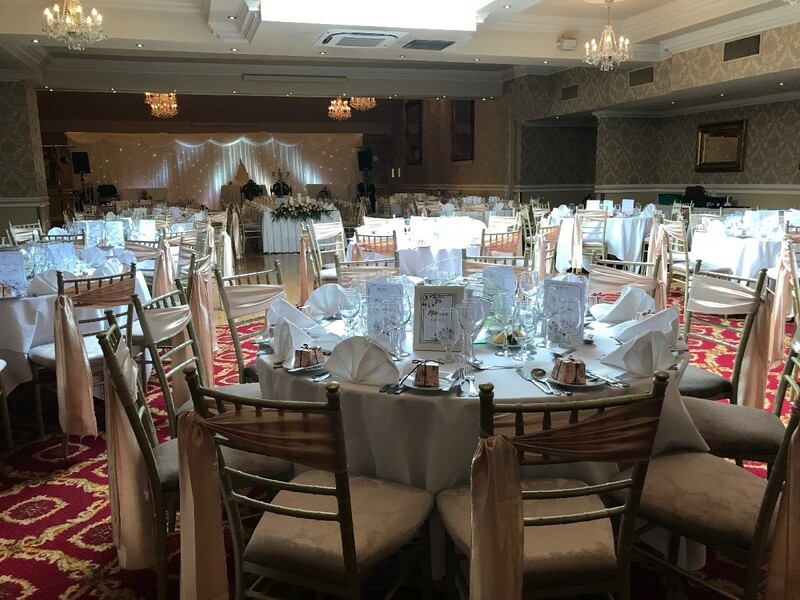 On the day of the wedding, every one of our guests commented how welcoming the staff were, how fantastic the food was and what a great day that they had. During the day we had Ray with us, he recommended my husband and I go to our room to have a few minutes to and enjoy the moment. We agreed with him and on our way to the room got caught talking to people etc and it took us roughly 20 mins to actually get up to the room. When the elevator opened Ray was standing there outside our door with 2 glasses of champagne on a silver platter and had been there for 20 minutes. It was amazing and great advice,that time together is one of the best memories we have of the day. I cannot fault the service or the people at the Abbey Court, they knew what we needed before we did and made the planning from Canada very straight forward. Their service is second to none and I recommend them to everyone. Awh thank you so much Aoife & Michael! We really enjoy working with couples who are living abroad and dealing with the challenges that brings on both sides. Thanks Theresa & Brian! It's hard to believe it's almost a year since your wedding day! Thanks Julia & Thomas, hard to believe it's a year already! The team at the Abbey Court take professionalism to a new level. Ray , Jen and all the team made our day unforgettable.The meal was fabulous and the attention to detail was faultless. If I were to do any future celebration it would be here, and I’m not even living in the county! 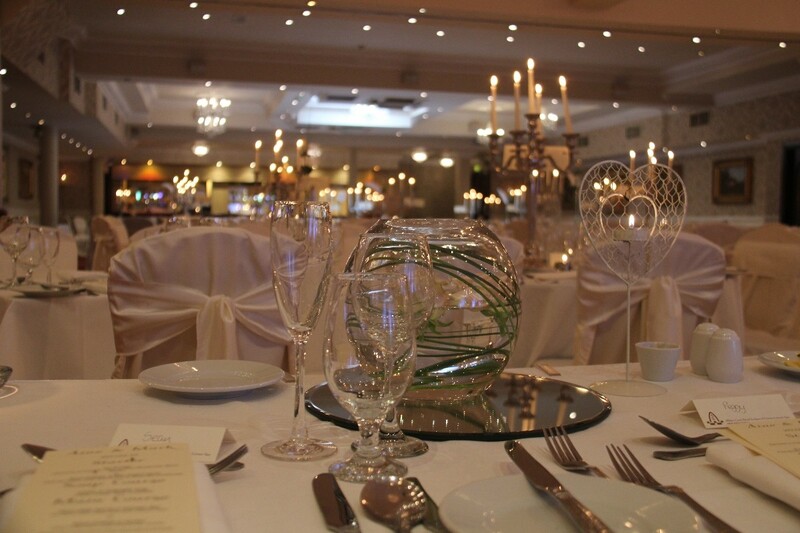 From start to finish we cannot fault the Abbey Court Hotel! From our first meeting with Jen she made us feel so welcome and nothing was a problem! From then on we linked in with Jen and Eileen as we are living in Dublin we dealt a lot through emails and they always responded quickly making everything so easy for us. From the minute we landed for our wedding weekend they made us feel so special! Ray, Jen, David, Breda and all the staff were professional at all times and couldn't do enough for us. The day of our wedding was super from start to finish. Ray and his staff were super, food was amazing and all our guests are still talking about the amazing weekend they had! 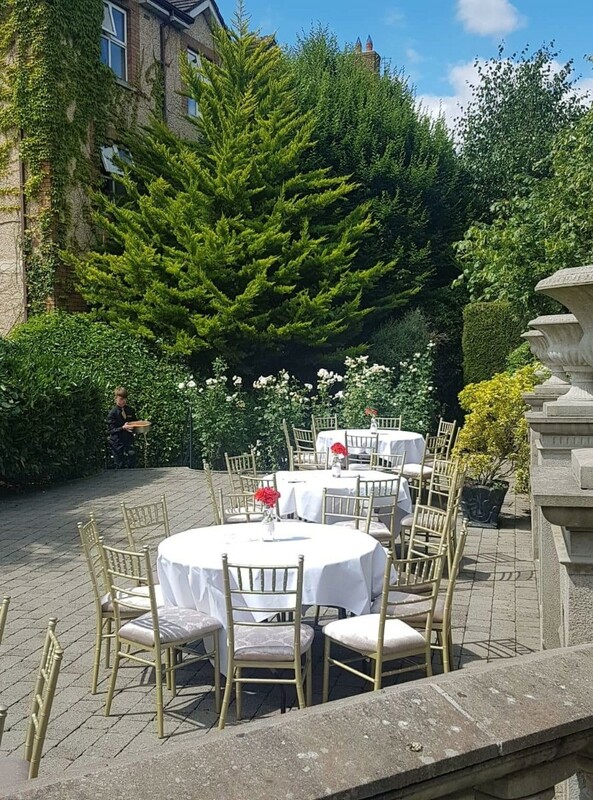 We would 100% recommend the Abbey Court for any couple getting married! Cannot speak highly enough about the staff, managers and hotel. Literally received 5 star treatment from the time we first contacted the hotel to the end of our wedding weekend. Their attention to detail is next to none and the food was amazing! Would recommend it to anyone who is engaged! 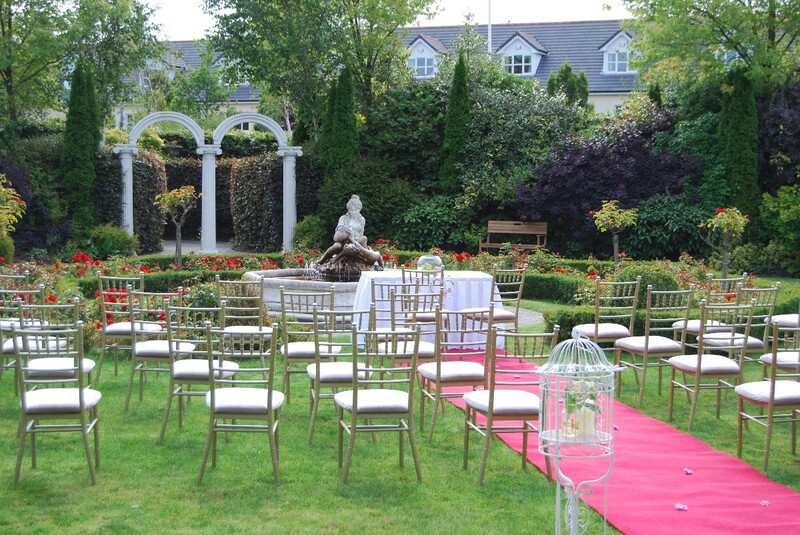 The Abbey Court Hotel was the perfect venue for our wedding. From the moment we walked in we were treated like royalty. Nothing was a problem and the staff is just amazing. We dealt with Eileen, Jenny and Ray and they could not have done more. 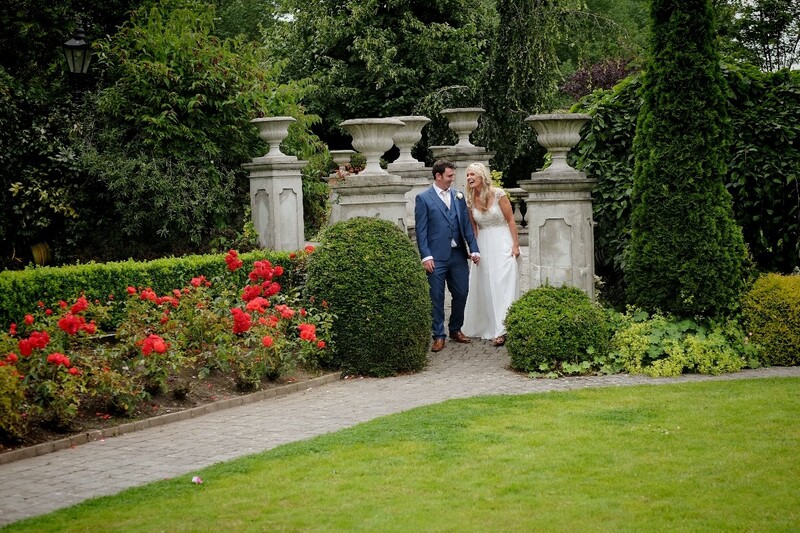 They were so easy to deal with and had a genuine interest in creating the perfect day for us. Their efficiency and diligence really shone through in the day. Breda and David were also on hand on the day and again could not have done more. The food and service was second to none. 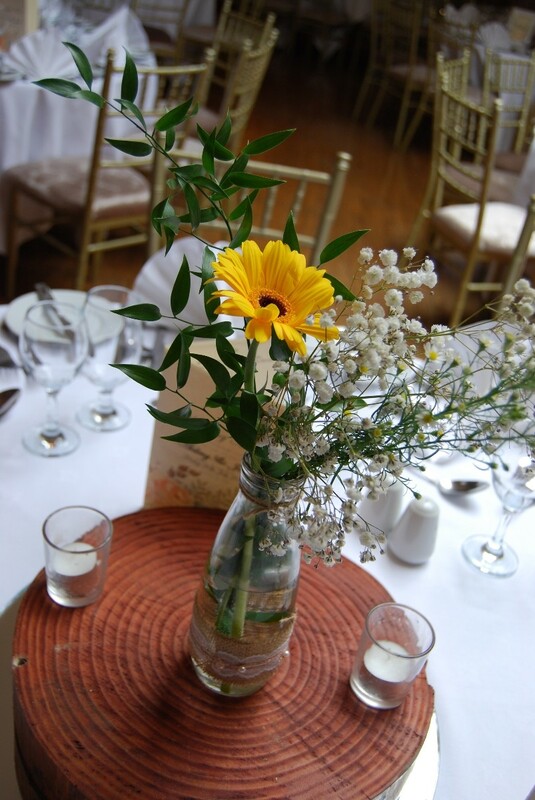 Everything was faultless and their attention to detail was commented by many of our guests. Everyone was made feel so welcome. We would highly recommend this hotel to everyone. They made our day special and perfect in every way. We cannot compliment the hotel and staff enough. Jenny & Ray went over and beyond expectations. We could not have asked for a better day. So glad you enjoyed your wedding with us Maria! We loved being there and sharing such a special day with you both! The abbey court were friendly and professional to deal with. 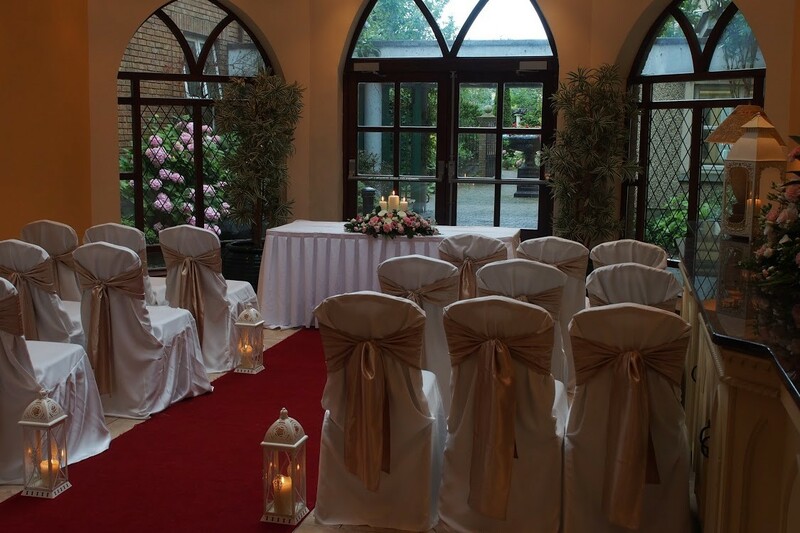 We were on a tight budget but the staff at The Abbey Court still treated us like royalty from our very first visit - we knew as soon as we met the staff that we had found the best venue for our wedding; comfortable and homely, the hotel has lots of space with great accommodation options. The food was delicious, many of our guests complimented it, along with the portion sizes! 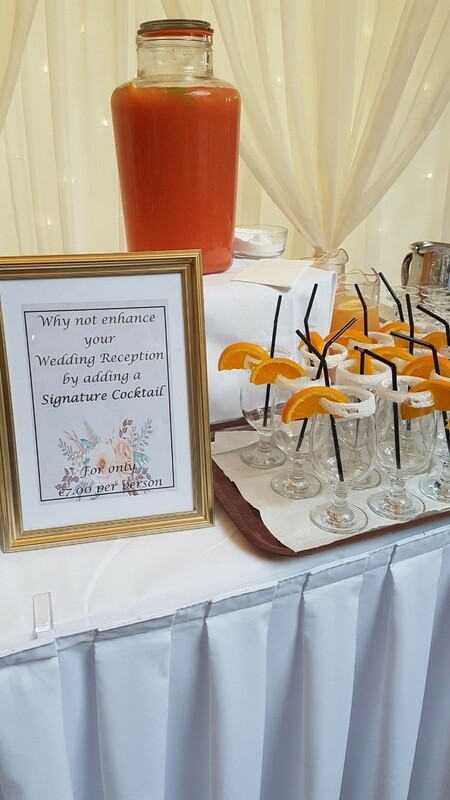 The service was great at every turn, Ray and Eileen were so professional but also extremely friendly and warm - all round, it was the perfect venue for our wedding, as the cosy, welcoming atmosphere of the hotel was exactly the vibe we wanted on our wedding day. 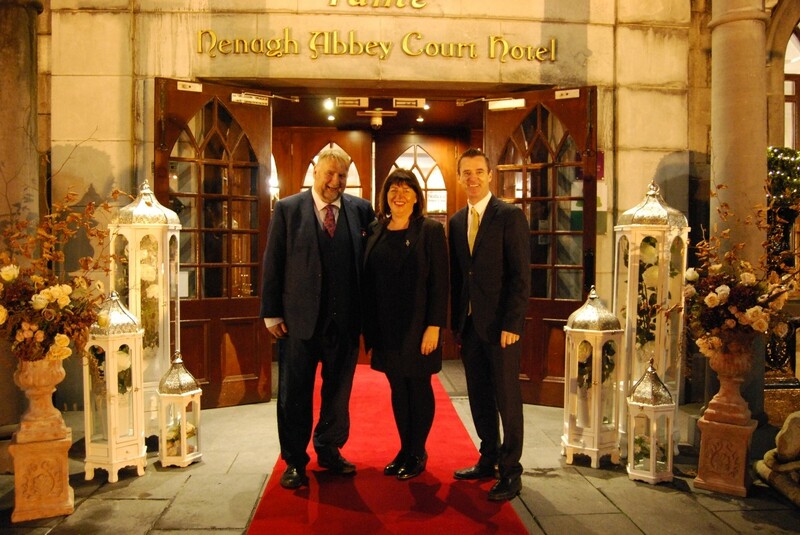 My husband and I were absolutely delighted with the Abbey Court Hotel!!! The staff are so friendly and accommodating. Especially Eileen and Ray, they really made our day so special, anything we wanted we got. The food is amazing and all our guests have been raving about food and the staff over the last few days. This hotel is brilliant value and it's worth every penny and more! 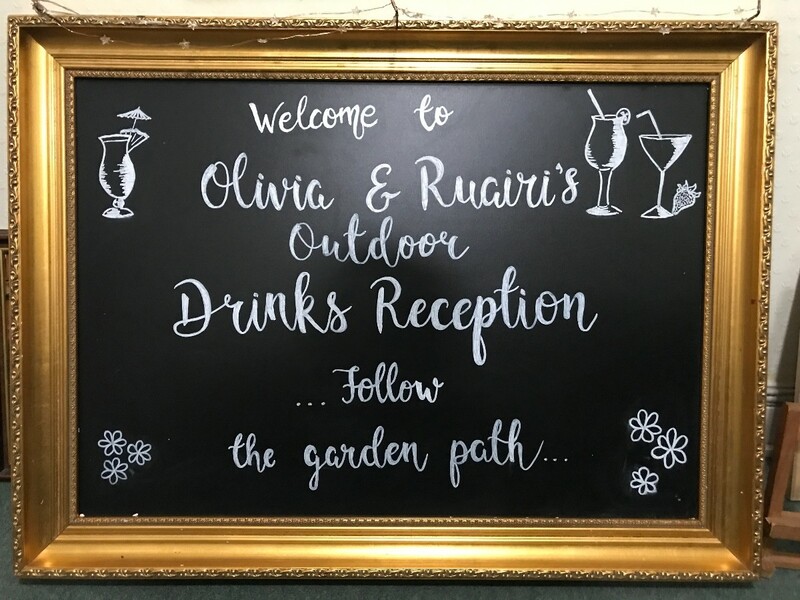 We also loved their personal touch, they have great vision and they are always open to suggestions and if they can do it for you, it's done to the highest standard! From the planning to the big day we really couldn't have asked for more. We didn't spend much time in Ireland prior to the wedding as we live in the UK but not once did we feel like things weren't going to plan. A huge thank you to Ray and Eileen for making the day so perfect, we felt completely comfortable with the staff and surroundings and our memories will never be forgotten. If you are brave enough to tie the knot (is it worth it?.. of course it is!) I don't think you'll find a more perfect setting to be married. Thank you so much to the Abbey Court for making our day so special. 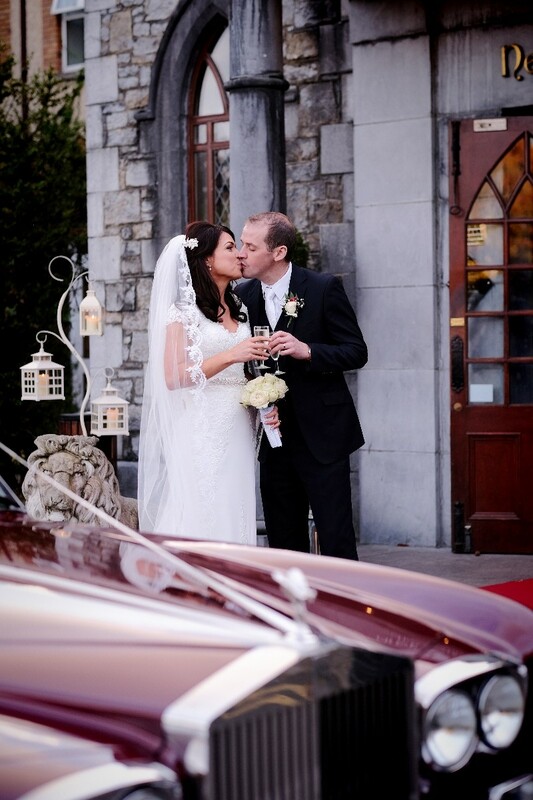 Our wedding day in the Great National Abbey Court Hotel on the 5th May 2015 was the most amazing and memorable day ever. From the day we booked our wedding Ray, Eileen and all the staff went above and beyond the call of duty where no task was too big or two small. We were made to feel like we were the only couple every to get married. Every detail was done to perfection on the day...the meal and service were outstanding our guests are still talking about the dinner. 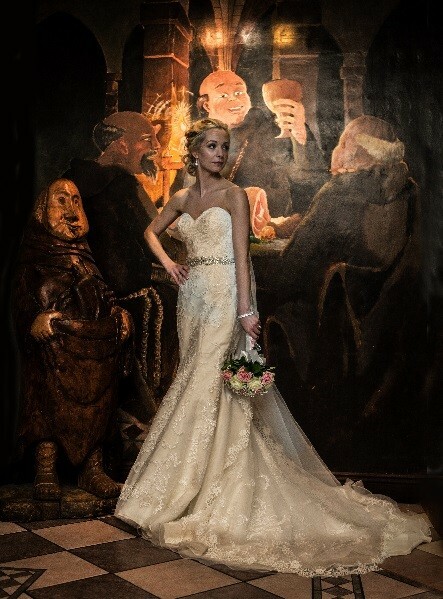 Their experience and expertise is second to none and I could not recommend them more highly if you are looking for that special place to have your Wedding reception. Thank you Ray and your team for truly making our wedding day one of the best days of our lives. Jody & I want to thank you and everyone in the hotel for helping to make our wedding day the most special day ever. You, Ray,Breda Sheppard and Dave in particular were absolutely amazing. Ye made us feel so special and anything we asked for was not a problem. Ye all went above and beyond our expectations and we are so appreciative for that. We got lots of little tips from you and Ray which really helped and on the day Ray was absolutely amazing. Everything down to the last detail was organised to the highest standard and Ray could not have done enough for us on the day. Breda was also amazing and everyone on the top table was so well looked after. The food was absolutely amazing and the afters food went down a treat. People are still talking about the food so our biggest compliments to the Chef and kitchen staff. There was lots of people there that had never been in the Abbey court before and they were all well impressed. Thanks again for everything ye did for us. We were so so happy with the way everything went and I hope you will pass on our thanks to everyone who was there on the day. we cant thank the hotel staff enough for all their help for our wedding . They were there for us every step of the way. we would highly recommend anyone to have their wedding here. A beautiful hotel inside and out. 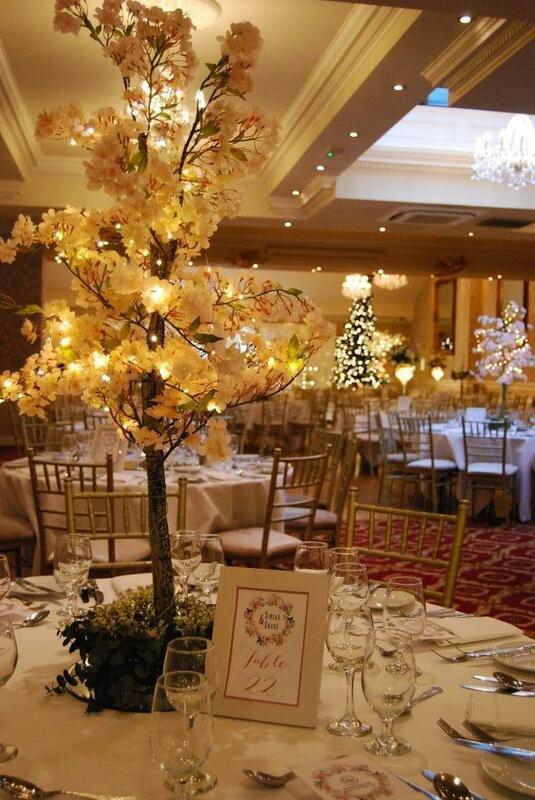 We had our wedding in the Abbey Court Hotel on New Year’s Eve 2014. On the lead up to our big day Eileen was so obliging and accommodating. 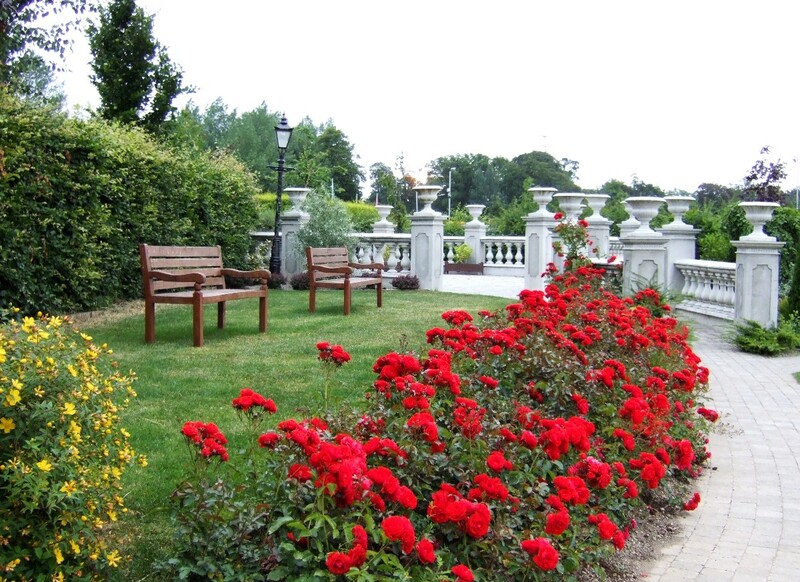 It was such a reassurance to know that everything to do with the hotel side of the wedding was in safe hands. On the day Ray, Eileen, Breda and all the staff were fantastic. They did everything they could to make our day extra special. The service they provided was top class and we thoroughly want to thank them for this. 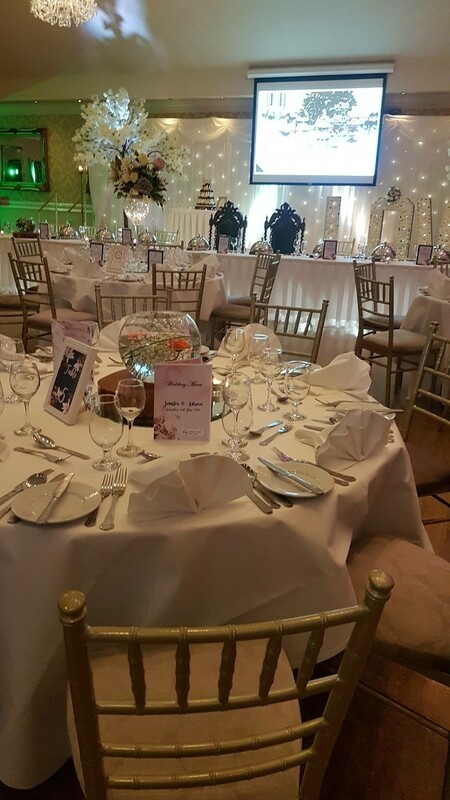 Well over half of guests were not local to Nenagh and majority of these had not been to a wedding in the Abbey Court before. The feedback Niall and I, our parents and families got back about the hotel and the standard of service was fantastic. So many commented on the food from the day saying it outstanding. 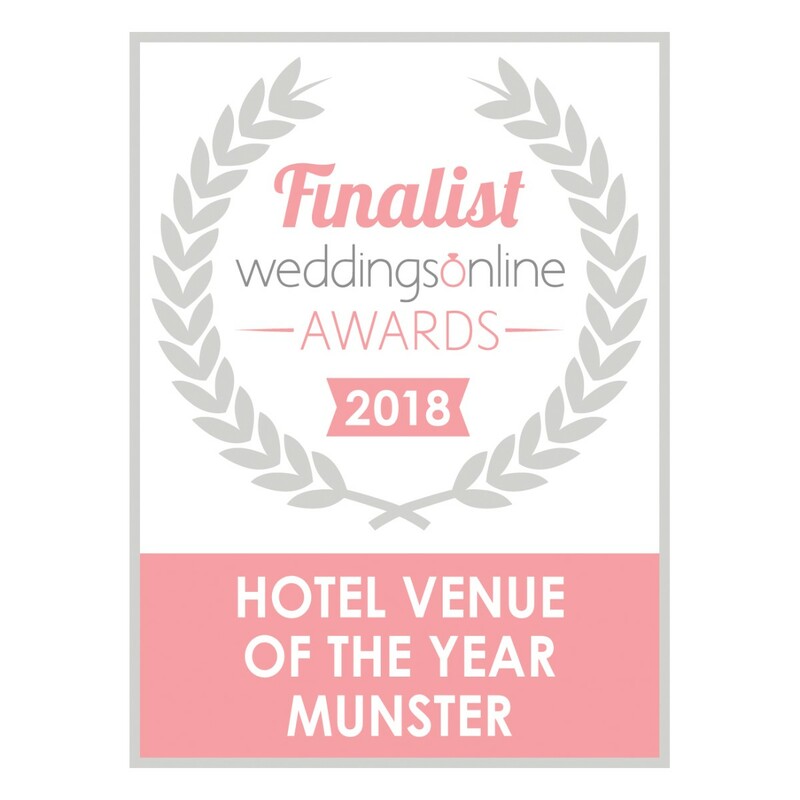 We are so happy that we chose to have our wedding in the Abbey Court and would highly recommend to any couple choosing the venue for their wedding!!! We had our wedding reception in the Abbey Court at Christmas. We could not recommend the hotel highly enough. Before the wedding Imelda, Eileen and Jen were so helpful. They could not do enough for us and made everything so easy. I never got stressed about anything as they had absolutely everything under control. I have been to so many great weddings in the Abbey Court so I knew the day would go smoothly. But my expections were completely surpassed! The service was second to none. I will never forget the attention that was given to me (the bride). During the meal either Ray or Breda were there for every single thing I might need, before I even realised myself! The food was 5 star quality. The amount of guests that commented on the food was a testiment to the quality. 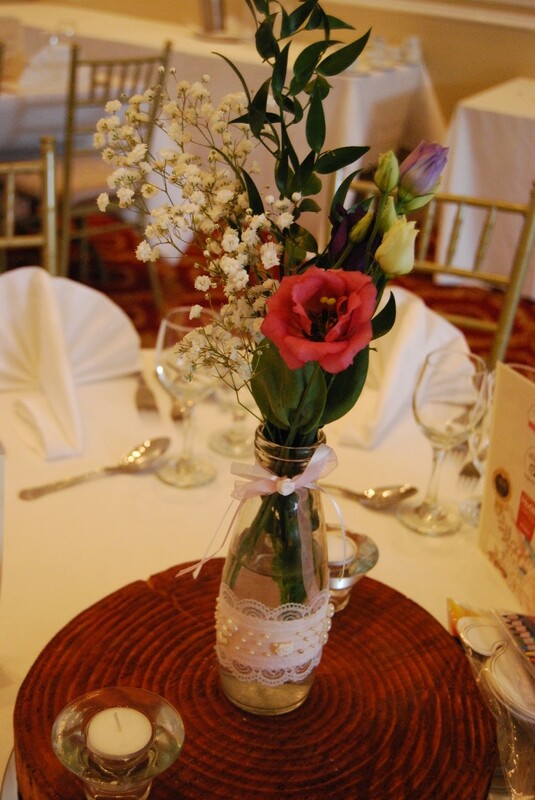 And all the extra touches for the bridal table were very much appreciated. The fanfare with the presentation of our food was just brilliant! We kind of felt like celebrities for the day! 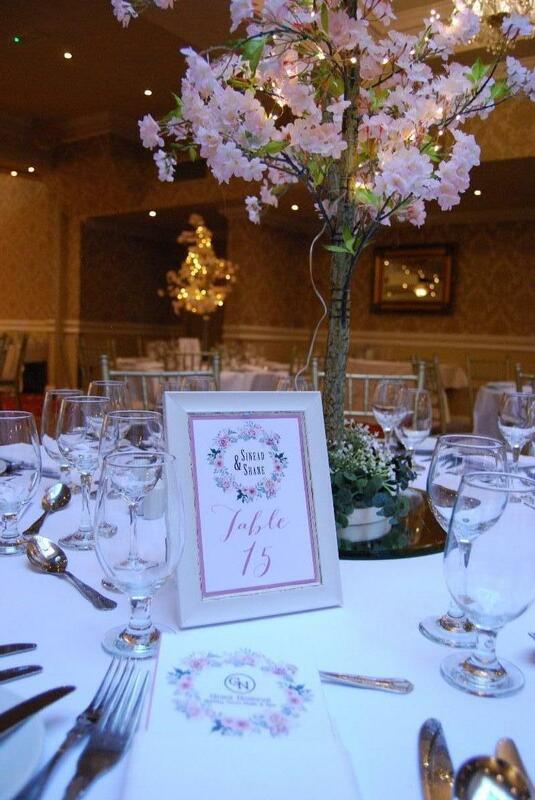 The ballroom was decorated so elegantly. And the huge Christmas trees in the ballroom and in the lobby were absolutely beautiful. 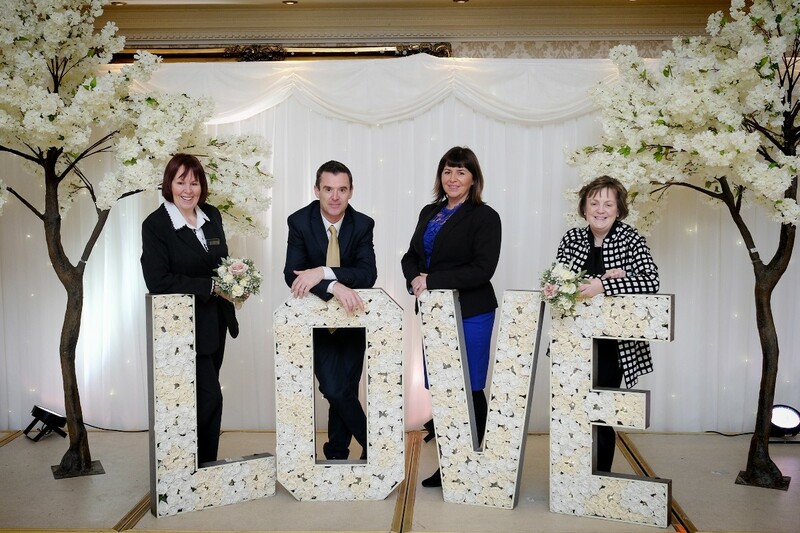 Ray is made for the job and the Abbey Court hotel are very lucky to have him over seeing the weddings. To say that Ray, Eileen and the rest of the staff go above and beyond the call of duty is an understatement. They made our wedding day just perfect! We cannot thank them enough. Claire and Seán. 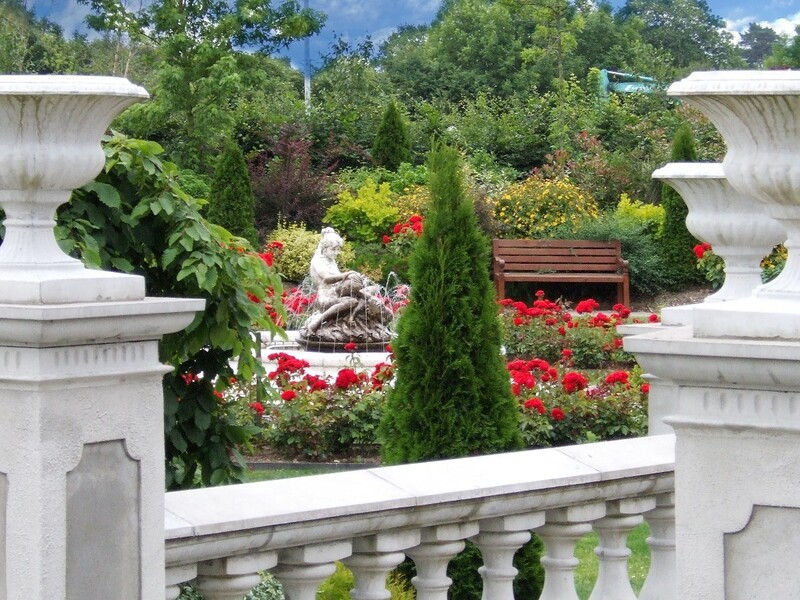 I couldn't recommend this hotel enough, the service we received was flawless from the start to finish, leading up to the big day the wedding coordinator was so reassuring and on the day itself Ray the manager was beyond amazing he made everything run so smooth, I regularly go back to the hotel for events or dinner and have never had a bad experience, a beautiful place! 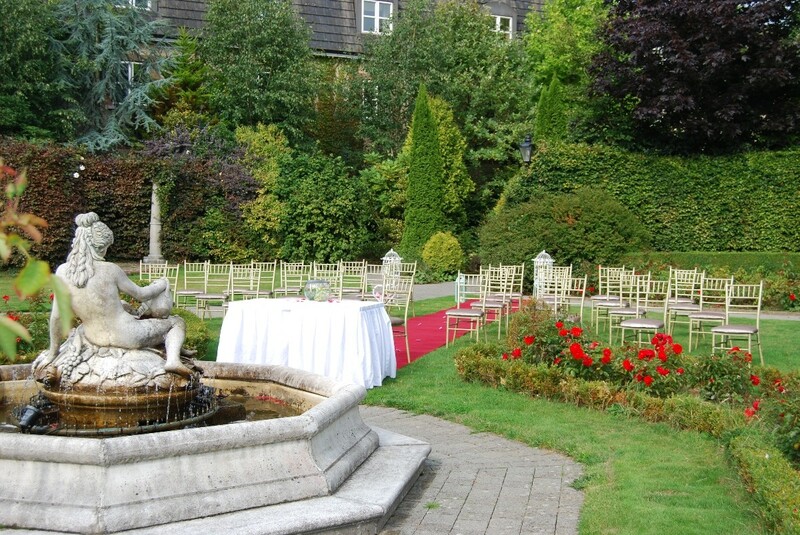 We had our Wedding at the Abbey Court Hotel this August and the service, food and staff were amazing. They completely exceeded our expectations we couldn't find a single fault with them. 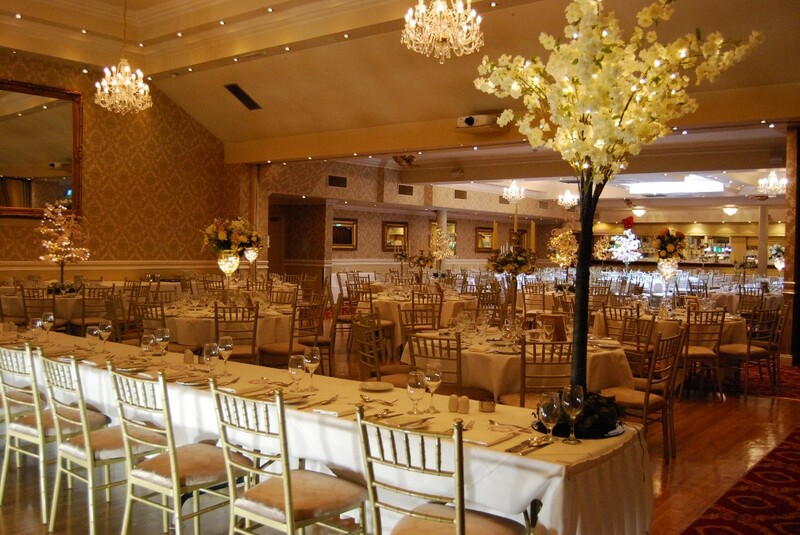 A great venue for a wedding reception, highly recommended. 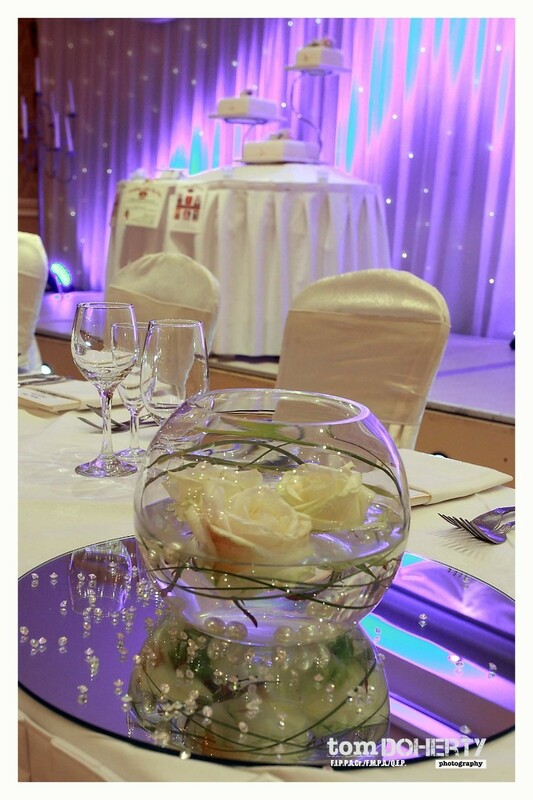 We had our wedding function in your hotel on Feb 16. We want to compliment the hotel on providing us with a fantastic day/night everything was perfect. We have had great feedback from many of our guests who had a wonderful day (many of the guests who travelled could not get over the standard of service or the quality of the food). 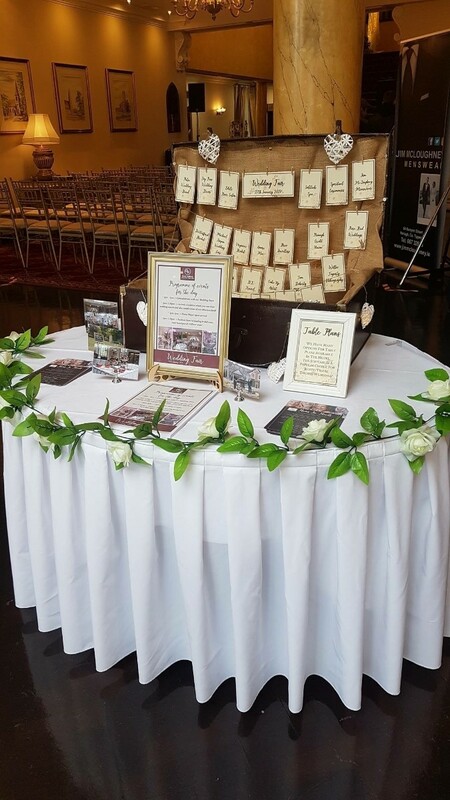 This of course would not be possible without your staff who made the day, Imelda in the run up to the wedding was so accommodating and efficient and made my job as the groom fairly hassle free. On the day Breda Sheperd in the dining room/John O'Gorman in the bar and David Hogan as night manager all went out of their way to make things run smoothly. Of course then you have Ray who is just so truely outstanding at his job and ensured everything was in place for us to have a wonderful day. 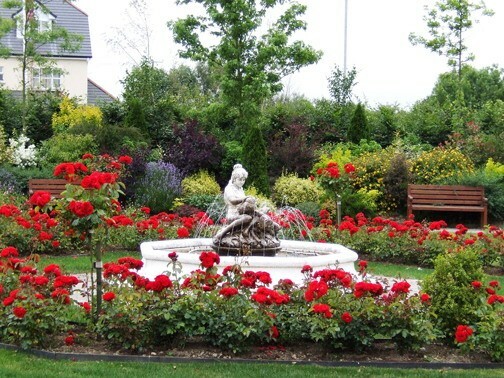 As somebody who has a business in the town it is great to have the Abbey Court going so well in these difficult times as it vitally important to the continued development of Nenagh. So again we would lke to thank you and your staff for a wonderful day. Thanks and gratitude to Imelda and Ray and all the staff of the hotel - both front of house and behind the scenes - for making our day so memorable and special. I had visions of how the day would go but my visions fell way short of how the day actually went! Everybody commented on how great the place was for the ceremony and the meal and how good and plentiful the food was! We got a lot of good words said about the food and everybody also said how lovely and friendly the staff were too. A fabulous day and it is a credit to you all at the hotel. 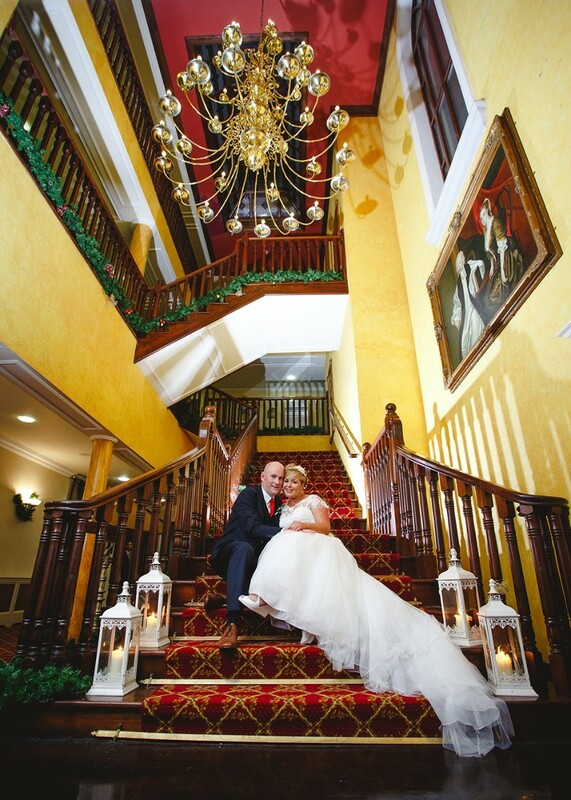 ..
A big thank you to Imelda and all the staff of the hotel for looking after us so well on our wedding day on Sept 27th - both before the big day and the day itself. Our guests were so complimentary of the food and the level of service. We had a fabulous day! The Guinness and onion soup went down a storm by the way!! Thanks again for all your help in planning and coordinating. It made all the difference and its truly appreciated. The Abbey Court Hotel, in particular Imelda, Tara, Ray, the Chef, Michael (the car driver) and all the staff on the 29th Dec 2012. Go raibh mile maith agat. This is very much overdue but we cannot thank you enough for making our wedding so special and perfect. You ensured and delivered on the whole day being seamless. Not only was your organisation and professionalism second to none but the warmth, friendliness and personal appraoch to us, our families and guests was something special. Everyone praised the food too and so thank you. 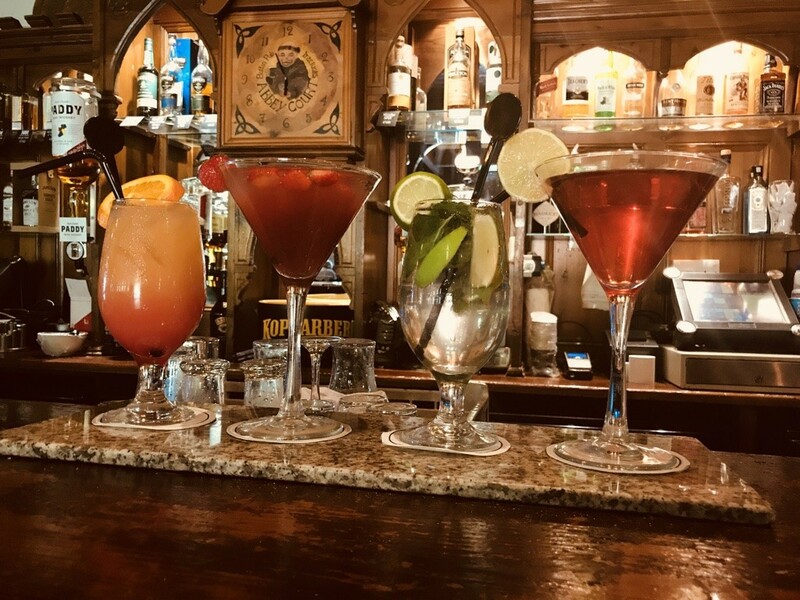 We can only but recommend the Abbey Court to all our friends. Imelda, We just can't thank you especially, and all the staff at the abbey court everything ye have done for us! Ye really out done yourselves it was the best day of our lives and you and the staff made it the very best it could be for us! The attention to detail was brilliant, your way better than I am,and I'm all about the details!! Ye had everything covered from start to finish and exceeded our expectations by a long shot. Please thank Ray too-he is the business! I want to bring him home and keep him, he's so good and he looked after me so well. Please thank him from me for the soda water and the way he minded me. Everybody complimented the food, the service, the rooms and pool, and how good and friendly the staff were. I'm only ragin we didn't get to use the giant bath in the bridal suite! We will be leaving a brilliant review on trip advisor and that when the dust settles but I just wanted to say a quick thanks now while I'm still on a high from it all!! To Imelda, Ray and everyone in the Abbbey Court, Philip and myself sincerely thank you for looking after us so well at our wedding. We loved our day. You helped make it special and create memories that will last a lifetime...Thank You. 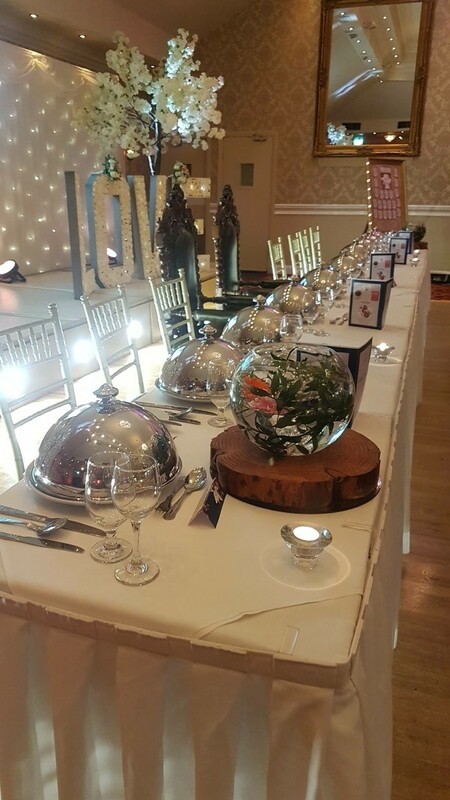 We would like to express our sincere gratitude to you for all your help in the run up to our wedding and the fantastic service on the day and especially in relation to the beautiful meal. We commend the professionalism of the chefs and waiting staff in particular. People are still raving about the meal! We look forward to seeing you again sometime in the future. Many thanks and best wishes. Imelda, Ray and Abbey Court Staff, A sincere thank you for everything you did to help us have the most fantastic wedding. We cannot praise your professionalism and helpfulness enough. We have got so many compliments about the hotel and the very high standard of food and how well the function room looked. You both do an excellent job. 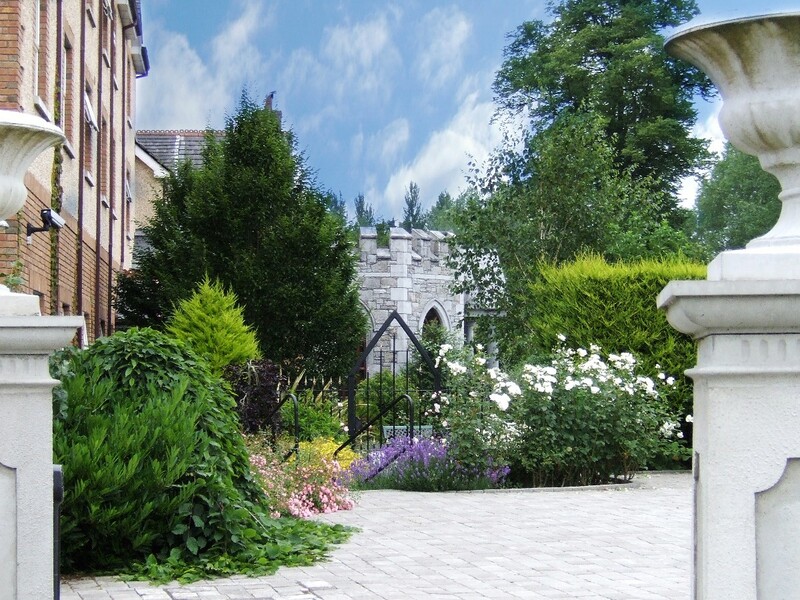 We have no hesitation whatsoever in recommending the Abbey Court to our friends. Many Thanks to David too.